HomeOpinionShould the UCD SU President be impeached? The Katie Ascough controversy has become entrapped in pro-life and pro-choice rhetoric and moral absolutes but many are choosing to ignore the salient facts which are making this a pointed manifestation of the abortion debate. Tribalistic tendencies often show their face during debates over societal issues but like all elected officers, she must be held to account for her actions by her electorate and a referendum to decide whether she should be impeached is deserved. 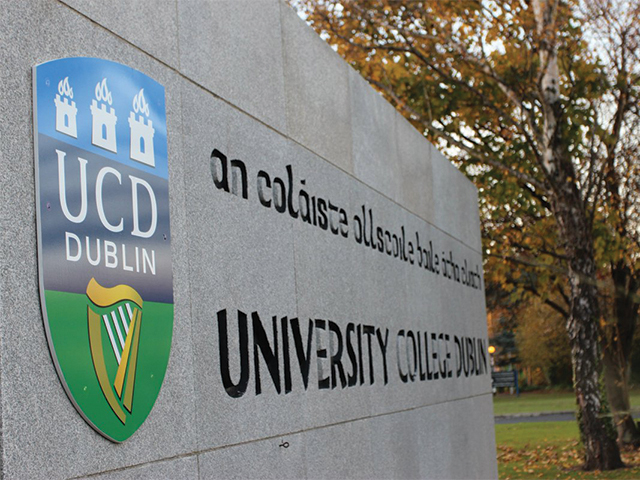 UCD’s University Observer first reported on September 19th that the UCD SU reprinted the freshers’ handbook Winging it in UCD due to the illegality of certain abortion content, despite such information being distributed to UCD students since the 1990s. The page which was redacted was to contain information about how to obtain an abortion safely, a price list for various clinics outside Ireland and details about purchasing abortion pills online. As reported by the University Observer, providing this information is in breach of the Abortion Information Act of 1995. Ascough admitted to making an executive decision to redact the page in question and her four fellow sabbatical officers criticised this decision. She often repeated during her election campaign that she would “delegate” on matters concerning the campaign to Repeal the 8th Amendment. This was due to her being a known pro-life activist whose father, Tom Ascough, sits on the board of the socially conservative Catholic lobby group, the Iona Institute. A petition calling for impeachment reportedly reached their required physical signature count of around 1,000 in one day, meaning a referendum is forthcoming and for her to be impeached, at least 10% of union must vote and a majority must be clear. She misrepresented her student body and its chosen pro-choice stance – calls for her impeachment are heralded as anti-free speech and liberal bias despite the evidence pointing towards a somewhat dictatorial abuse of power and political imprudence. She reneged on campaign promises and overtly opposes the mandated pro-choice stance – these are sufficient grounds for impeachment as written in UCD SU’s constitution. Without support from any of her fellow sabbatical officers, she misspent student funding in purposefully omitting information which she is mandated to represent, regardless of her own personal views. Ascough had previously pledged to delegate such responsibilities to her SU counterparts but failed in doing so and allowed her personal bias to affect how she acted in elected office. She has lost the confidence of much of her union and seemingly most of her sabbatical staff. The way in which she has been treated by some students is akin to a witch-hunt and this further perpetuates the idea of echo chambers – college campuses are well known for being inherently liberal media bubbles – and how they can be destructive and dangerous to democratic values. However, the facts remain that if UCD’s students decide her actions warrant impeachment and that she is not fit to carry out her responsibilities impartially, then she must go. So let’s get straight to it, should she be impeached? Absolutely not – the hate campaign and petition aimed at this girl is quite frankly, shameful. Ascough was elected President of the Student’s Union for a reason, it was believed she would do her job in representing the students of UCD to the best of her ability, be their voice and protect them. By removing the information regarding abortion pills in particular, Ascough was keeping vulnerable girls safe from making dangerous choices. Pills bought online are not legal in Ireland and can be dangerous. There have been reports of everything from rat poison to bleach found in such pills, and these could end up doing more harm than good. Ascough ultimately made her decision after she consulted with UCD lawyers who informed her that providing this information was, in fact, a breach of the 1995 Abortion Information Act and thus, against the law. It is not against the law to provide certain information on abortion to women in Ireland, but it is under strict guidelines as to what is acceptable. The campaign against Ascough has featured pictures of her with Ash Wednesday ashes on her forehead and it’s blasted everywhere that she is ‘pro-life’ and that these personal choices in some way make her unfit to be the SU president, which is entirely not true. Her personal choices and beliefs shouldn’t be used against her when she was simply following the law. Ascough’s religious beliefs or personal opinion on abortion have literally nothing to do with the legal system in Ireland and have nothing to do with whether or not she is fit to represent students. There was an article circulating online about how Ascough wasn’t attending the recent ‘March for Choice’ protest held in the city centre and this somehow made the news. This is basically saying that if you don’t share a certain popular belief then you’re automatically in the wrong? Of course she wasn’t going to be attending, but what does this matter? We are all entitled to our own opinion and her opinions shouldn’t be used to slander her in the news. This type of propaganda is doing nothing but stirring up unnecessary trouble on both sides of the debate and as already previously mentioned, Ascough was doing what she was legally advised to do, not what she wanted to do personally. It is perhaps coincidental that Ascough is pro-life and had to make this decision to remove abortion advice from the UCD magazine. However, in doing so she could save someone from taking dangerous medication and she was also simply following the law. Is that not all you want in an SU President?